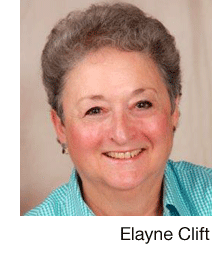 Elayne Clift is a writer, journalist, lecturer and volunteer doula. A Vermont Humanities Council Scholar and book reviewer for the NY Journal of Books, her columns appear in The Keene (NH) Sentinel and the Brattleboro (VT) Commons. Her first novel,Hester's Daughters, published in 2012, was inspired by The Scarlet Letter. A co-authored book about doula-supported childbirth in the U.S. is forthcoming in 2013. She lives in Saxtons River, Vt.